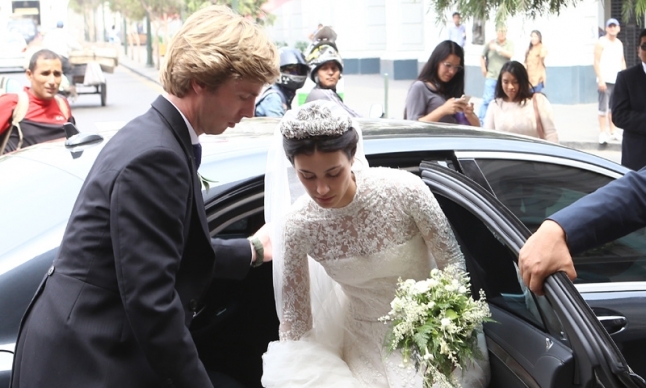 The wedding of Alessandra Osma and Prince Christian of Hannover was celebrated in Lima (Peru) in the Basilica of San Pedro. The Peruvian beauty made the traditional paseíllo from the Goyeneche house to the basilica on the arm of his father, Felipe Osma Berckemeyer. 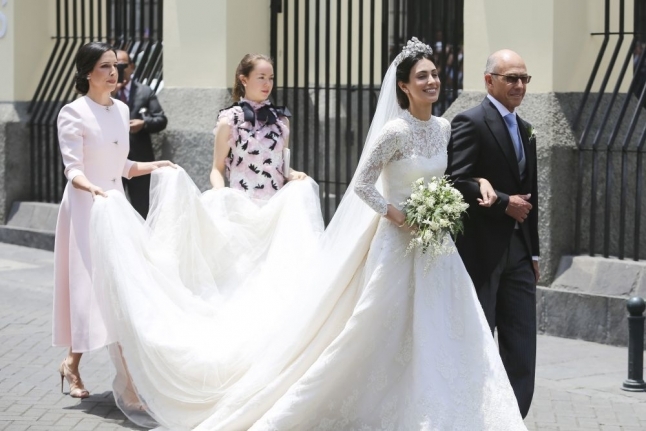 The gorgeous bride chose to wear a very romantic and elegant long-sleeved lace dress by Jorge Vazquez that took the designer more than 600 hours to create. 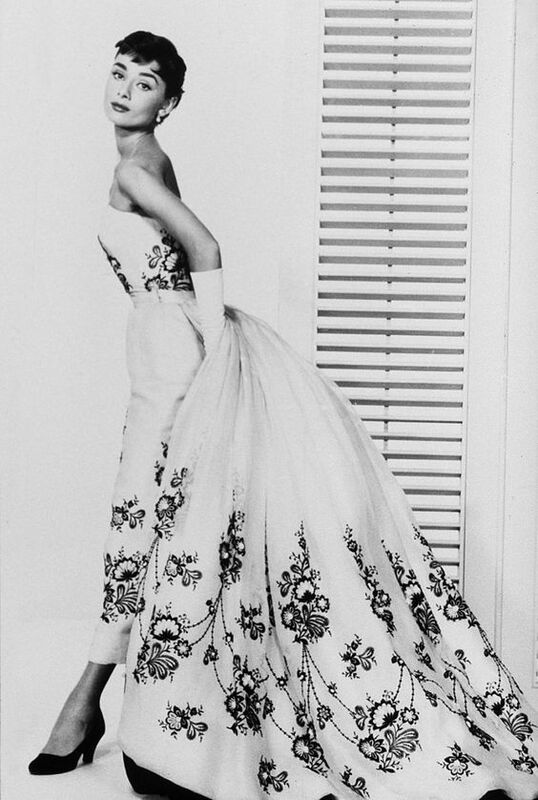 Alessandra was every inch the perfect princess in the spectacular high neck gown with a long train. 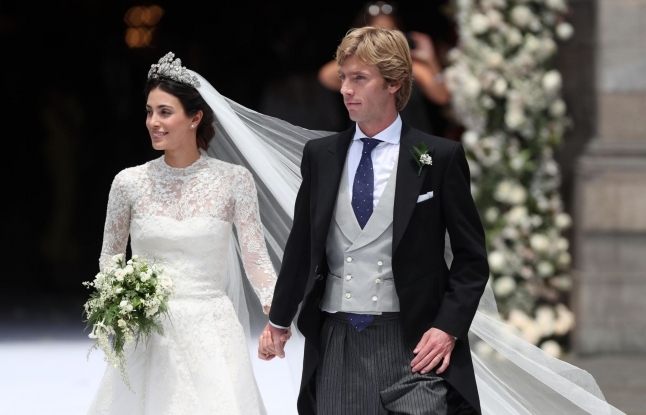 She completed her look with the Hanover floral diamond tiara that was previously worn by princess Caroline of Monaco on her Marriage to the father of the groom, Prince Ernest of Hanover . 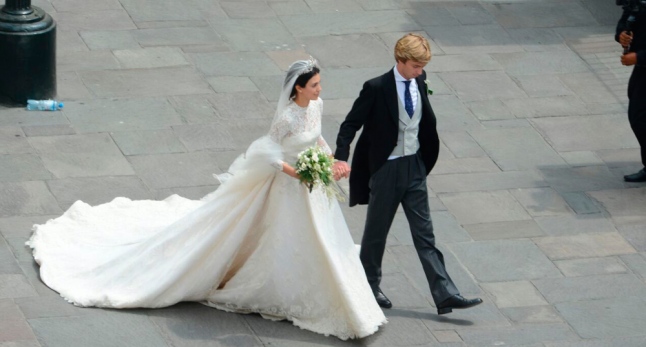 Alessandra and prince Christian were previously married in a civil ceremony in London last November.